Sportswear brand NIKE, based in the United States is the official apparel sponsor of the Board of Control for Cricket in India (BCCI). 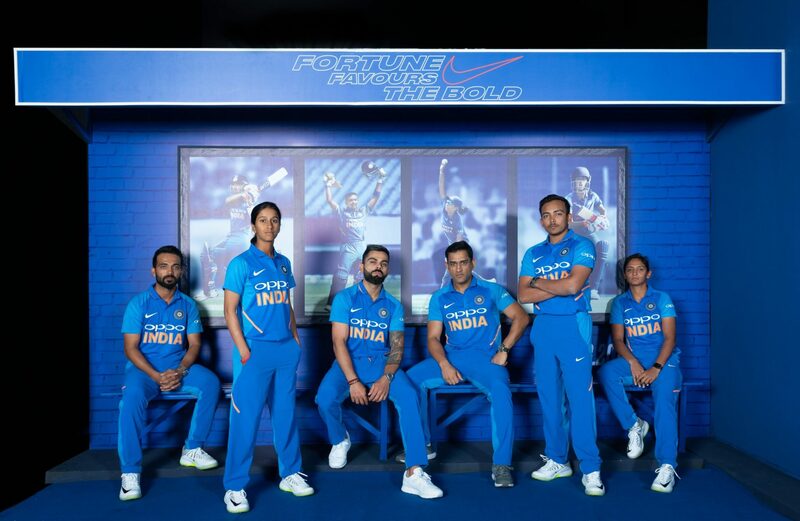 As the cricket teams world over prepare for the biggest cricketing extravaganza, World Cup 2019, slated to commence from May 30, 2019, the brand has officially launched the ODI (one-day international) kit for the men’s and women’s national teams of India. The new Indian cricket team kit draws its inspirations from the young new generation. It comes in a chic design coupled with material combinations to ease body movement and increase fabric breath-ability. NIKE states that the new kits are eco-friendly and have been made using recycled polyester. The new team India jerseys are now available at select NIKE stores. One more interesting fact about the new jerseys is that the dates of the first World Cup won by Indian cricket team, the T20 World Cup, and the second 50-over World Cup are printed on the jerseys, making all the more special.